Peace. Love. Harmony. Does it get any better than that? I submit that it does not! 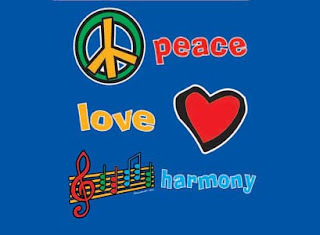 It's a beautiful cycle of music that comes from love and spreads peace and love, which in turn inspires more music. Share this beautiful cycle with the world with this amazing t-shirt.